It was just a matter of time, wasn’t it? Frankly, I’m surprised it took this long! 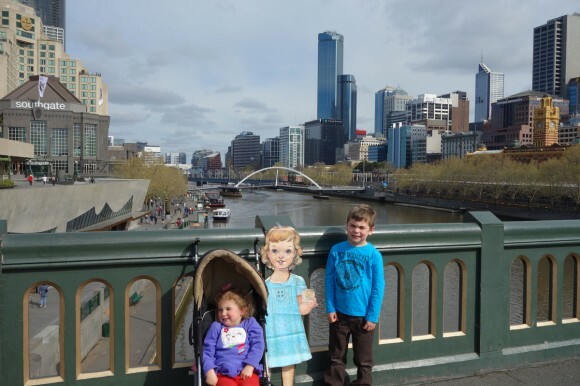 We have just received another report about Flat S’s travels, and it turns out she has now made her way to Australia where she has had a lovely visit with Melissa Ellery and her family in Geelong. Here’s Melissa’s report on what Flat S did during her visit. We were all very excited the day Flat S arrived! She spent several days adjusting to her new home and visiting around our neighborhood. We live in Geelong, Australia, which is a one hour drive around the bay from Melbourne in the southern state of Victoria. First, Flat S came along with me to work. I work as a Registered Nurse in a Haemodialysis Service. 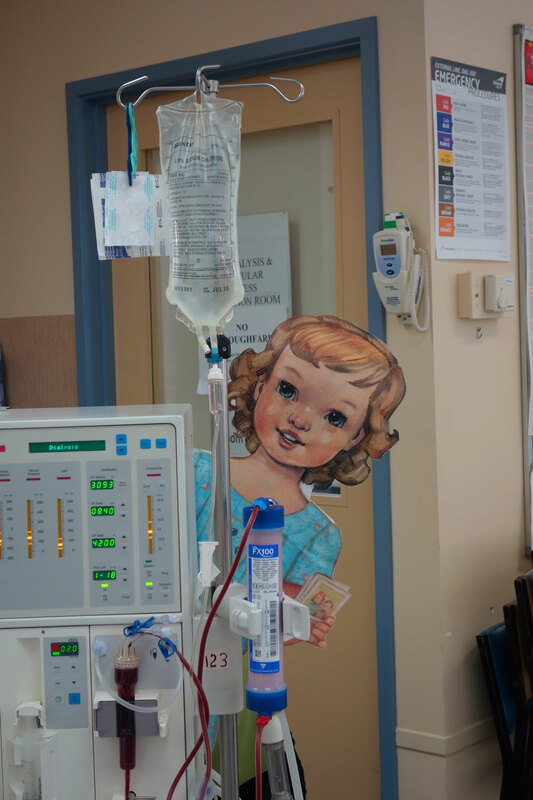 Flat S thought it was amazing to see all the patients getting their blood cleaned, and the patients loved Flat S’s beautiful Family Reunion dress and enjoyed hearing the story of Flat S traveling around the world. 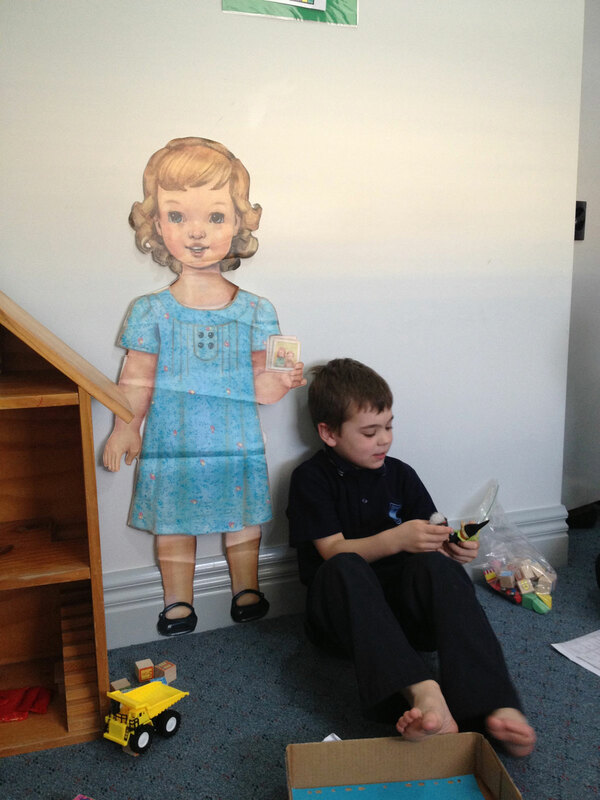 A few days later, Flat S accompanied Hayden and me to play therapy. Hayden is seven and has Aspergers Syndrome. This is mild form of Autism. He has a particular problem with imaginative play and social skills, so he attends therapy with an occupational therapist to learn these life skills. At a previous session, Hayden had been practicing writing and sending mail to friends, so when Flat S arrived, she came along and joined in the fun and got “mailed” during the session! 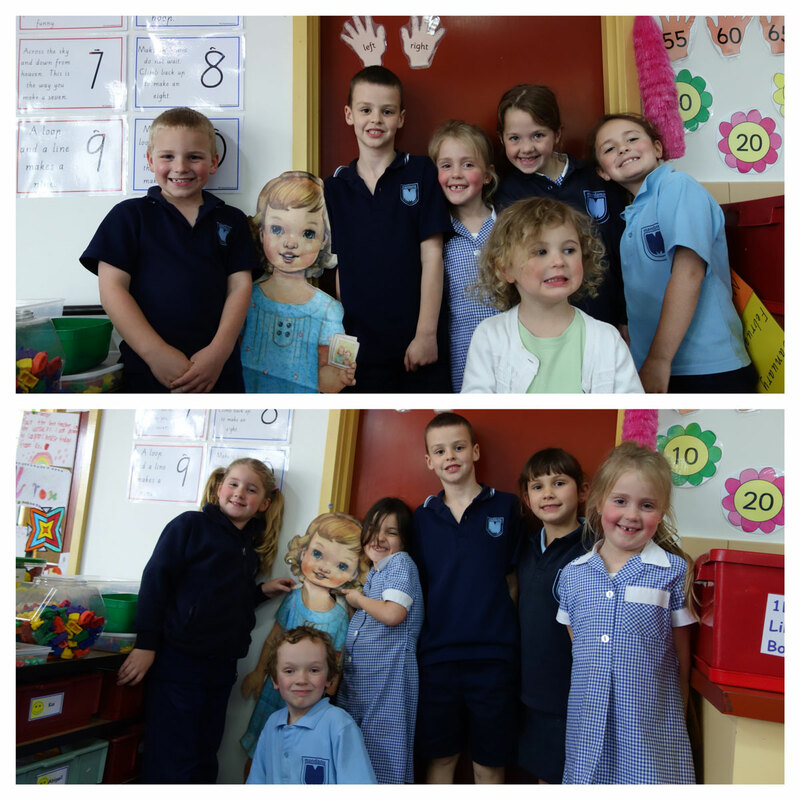 Flat S was such a hit she even visited Hayden’s school, where they read Flat Stanley. She was a very popular visitor to the class and everyone wanted their photo taken with her! 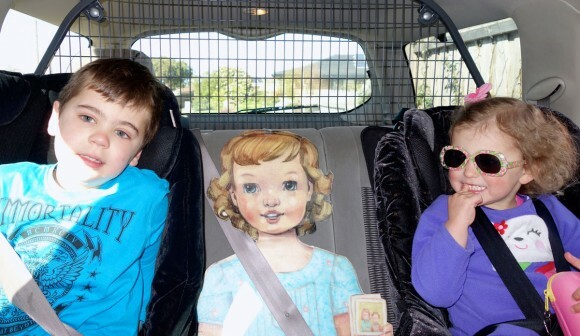 The following weekend, Hayden, Millicent, and I went for an adventure. We drove up to Melbourne and then caught a train out to the Melbourne Zoo. We walked over the Yarra River that runs through the heart of the city and watched the water taxis and boats going up and down the water. 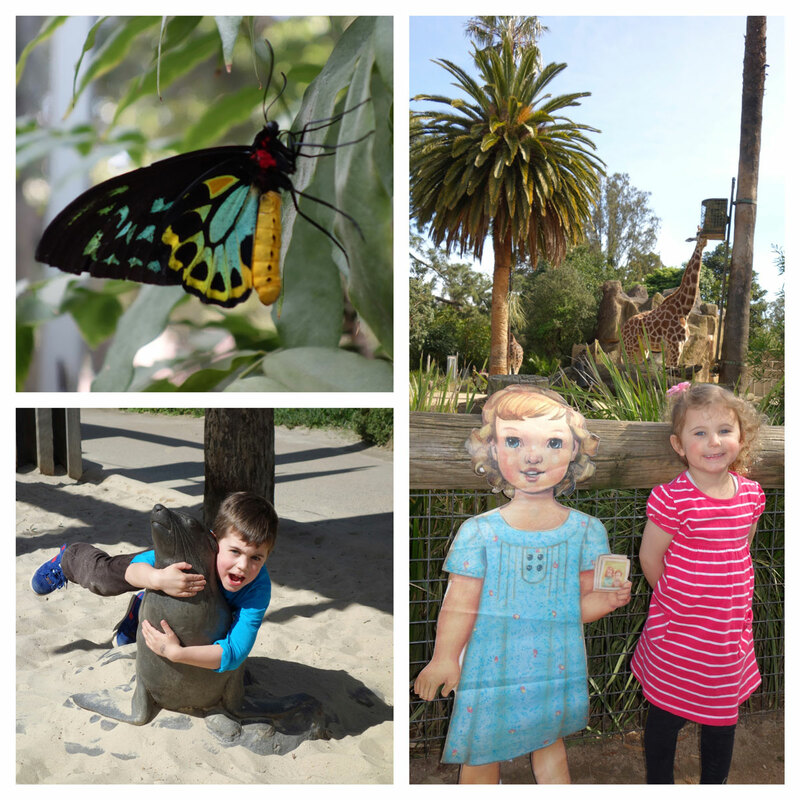 We all spent a beautiful sunny day walking around the zoo. Hayden’s favorite was the seals, while Millie loved the butterfly house. But Flat S like the tall giraffes the best. After a very busy week here, Flat S ended her stay with us by taking a stroll along the bay. There are some lovely parks and playgrounds, and Flat S enjoyed visiting the Geelong Bollards. The Bollards are painted wooden bollards reclaimed from the old pier that are displayed along the waterfront in Geelong. 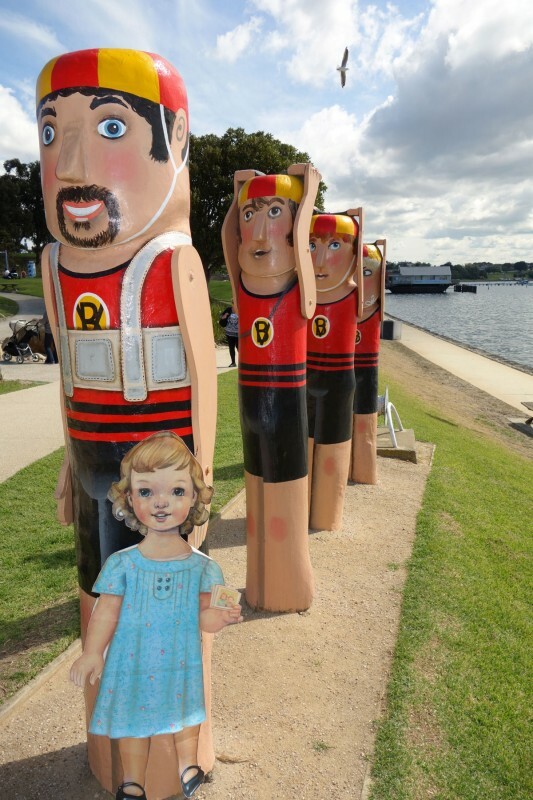 There are over 100 bollards and they depict important people in the history of Geelong and the surrounding area, from lime burners and lifesavers to explorers and local indigenous people. Flat S liked the lifesavers the best. And with that, Flats S’s visit was over. She is now one her way to her next exciting stop in her travels. Bon voyage, Flat S! As always, we can’t wait to see where she goes next. Thanks Melissa. Oh how lovely to see Flat S pop up in the city where I live! Thanks Melissa for the lovely post and for showcasing Geelong so well. I just love following these travels. Every host is so unique and creative. We visited Geelong AND the fabulous Ellery’s last year and had just as much fun. What a fun thing to do. As a fellow Australian I’m very happy that Flat S has made her way to this beautiful country.